Apple has acquired Shazam for a reported sum of $400 million and with it bought itself a library of over 30 billion song requests and a customer base of hundreds of millions of monthly users. Apple has bought Shazam. The rumour that took to the web yesterday has been confirmed by both companies and the music discovery app now officially belongs to the Cupertino-based tech giant. So what’s in it for Apple? Although the terms of the deal have not been disclosed yet, Shazam seems to be a natural fit for Apple. For starters, the Cupertino tech giant no longer owes Shazam commission for using its music recognition services for Siri. Apple integrated Shazam with Siri back in 2014 with iOS 8, and gave the virtual assistant the ability to recognise songs by listening to them. However, that’s not all Shazam does. 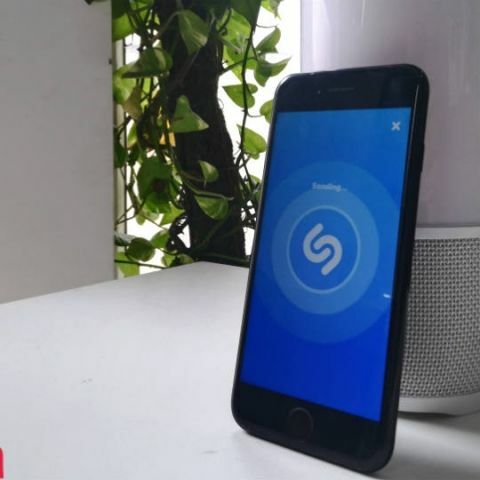 Founded in 1999, Shazam, a british company, was initially a phone-based service users could call to get the names of the tracks they were listening to. In 2002, dialling the shortcode 2580 from a mobile phone would connect to Shazam and automatically disconnect in 30 seconds. The name of the song would then be sent to the caller via a text message. From then to now, Shazam has ventured into Artificial Intelligence and Augmented Reality, two extremely important verticals to Apple. Shazam uses AI to help people discover music and videos, share them, as well as interact with them. The company introduced visual recognition to boost engagement on the app back in 2015. It used everything from posters, to packaged goods to transform static images into dynamic pieces of content on the app. Stepping up from there, Shazam announced its first scaled Augmented Reality platform for brand partners, artists and users. Shazam codes displayed on branding, packaging, print media and other such avenues can be scanned to bring up augmented reality experiences including 3D animations, product visualizations, mini-games and 360-degree videos. So yes, Apple has bought itself a pretty package in the form of Shazam. The app has been downloaded over 1 billion times and has exceeded over 30 billion song requests since its inception. The user data that Shazam must have collected over the years will definitely be a valuable asset to Apple. Not to forget the multiple partnerships the platform has with music labels across the world. It now remains to be seen how Apple utilises Shazam and what happens to its existing partnerships with Snapchat, Spotify. There is talk of Apple integrating Shazam with Apple Music. This could be a natural transition for Shazam in the iOS ecosystem. It is also not clear if the app itself will cease to exist, but, rhetorically speaking, what good will it do Apple to kill an app brand that has managed to survive the tide of time and still remain relevant. Please suggest me some software to recover data from corrupted disk?